Affordable Dumpster Rental provides low-cost Residential and Commercial Roll off Dumpsters and Dumpster Bins starting at $199. We’re Houston's premier dumpster rental service to call today for rates and services. Our Houston Dumpster Rentals include: Residential Roll off Dumpster Rentals - Construction Dumpster Rentals - Bulk Trash Dumpster Rentals - Garage Clear Out Dumpster Rentals - Landscaping Waste Dumpster Rentals - Commercial Dumpster Rentals - Junk Removal - Roll off Dumpsters and Bins for any job! Now Offering Junk Removal Services in Houston! Rent a Dumpster in Houston! Rent a Roll-off dumpster or dumpster bin for all projects in Houston! Affordable Dumpster Rental offers residential dumpsters in Houston, also known as roll-off containers available in 10, 20, 30 & 40 cubic yards to accommodate your bulk trash removal needs in Houston and surrounding areas. We offer residential curbside pickup and delivery and offer same-day service. Our Residential Dumpster Rentals are ideal for renovation projects, new construction, landscaping cleanup’s, moving cleanouts and more. We provide commercial roll off dumpster containers for construction companies and contractors to haul demolition and construction waste for disposal for the Houston Metro Area. 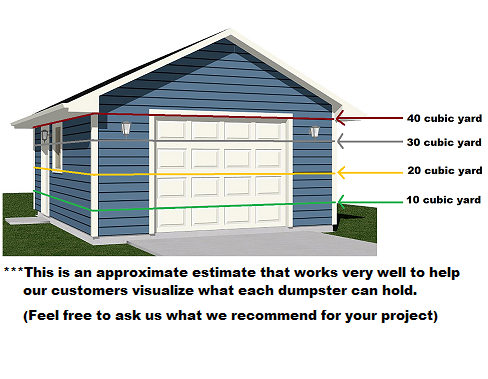 Affordable Dumpster Rental will be able to quickly arrange delivery of the appropriate sized dumpster. Some of the most popular options include 10-, 20-, 30- and 40-cubic-yard open-top dumpsters for rent. We Now Rent Compact Dumpsters in Houston! Rent a Roll off Dumpster, Compact Dumpster, Dumpster Bin or Portable Storage Unit in Houston! 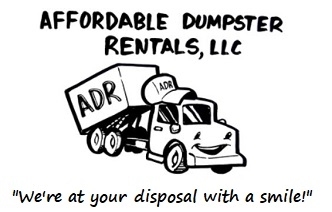 Looking for Cheap Dumpster Rental Prices in Houston? Call Us Today for a Dumpster Quote! Subpages (7): Compact Dumpsters/Enclosed Dumpsters - Call Now NEW NUMBER (832) 323-3709 Customer Reviews FREE EZ Quote Form Houston Dumpster Bins NEW NUMBER (832) 323-3709 Portable Storage Units Proudly Serving Houston and Surrounding Cities Proud to Serve Houston and Surrounding Cities!